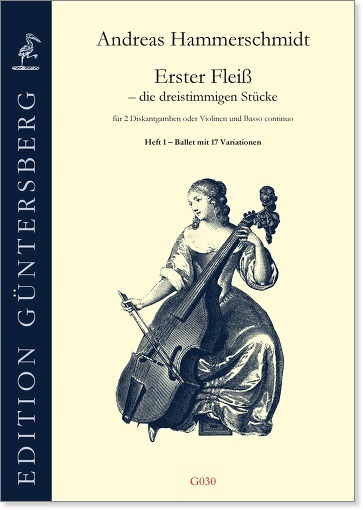 The Bohemian composer Hammerschmidt has published a large collection of 5-part dance pieces named Erster Fleiß and Ander Theil , see G017-G024. Among these there are also these three-part pieces which remind us of Italian music of the early Baroque period. They can be played on violins as well as on treble viols.